This is a book that will keep you on the edge of your seat! It’s a chilling thriller, with oodles of menace and tension. 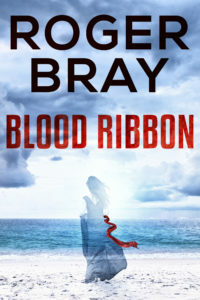 A simple red hair ribbon takes on a very sinister aspect when it’s connected with the deaths of young women over quarter of a century. Brooke, our heroine, is a likeable, down to earth young woman. She’s a strong character who recovers from an attempt on her life but instead of running and hiding, she chooses to track down and confront her attacker, with the assistance of private detective Rod Morgan. He too is a sympathetic although not necessarily easy person, and the two make an unusual but effective team as they strive to take this particular evil off the streets. They encounter a wide variety of tightly drawn and memorable characters in their quest for the truth. Author Roger Bray really gets inside the head of the perpetrator of the crimes, and it’s this which gives that icy touch to this exciting and fast-paced novel. It really will send shivers down your spine! The author also has a sharp eye for detail and settings and events are vividly described. His writing is brisk and methodical, which keeps the action rolling without ever losing the reader in all the excitement. All in all it’s an absorbing and highly enjoyable read. 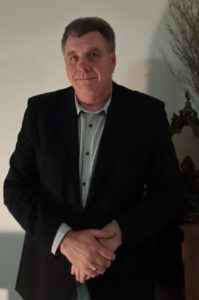 Posted in Book reviews, book tour.Tagged chilling, crime thriller, menace, private detective, strong heroine, thriller. It’s great to be involved, Roger! Congratulations on your super book.